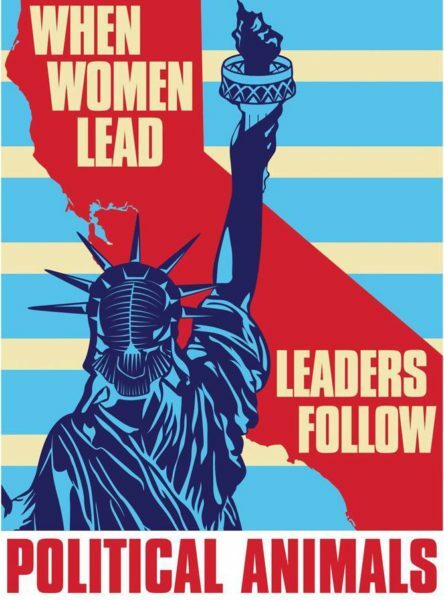 Political Animals is a brand new documentary that tells the remarkable story of four extraordinary women who were the very first openly gay legislators in California. These brave pioneers had to contend with fierce and hostile opposition that often got very personal and nasty, but nevertheless managed to author Bills that started to change the lives of LGBT people and our community at large. It’s a compelling story that not just details an important part of recent LGBT history, but reminds us how so very indebted we are so are to these phenomenal and selfless visionary women. This truly wonderful film is a Spotlight Selection, and also one of our Top Picks, for the upcoming Provincetown International Film Festival #PIFF. We are particularly psyched about this as before the Screening filmmaker Jonah Markowitz and one of the movie’s ‘stars’ Senator Carole Migden will be making tracks to PTV’s studio to talk to us about their very astonishing story. Here is queerguru’s review of Political Animals for P.T.V. and keep watching this space to see our interview very soon. The People Vs Fritz Bauer is a riveting historical thriller based on a true story, which chronicles the herculean efforts of German district attorney Fritz Bauer after WW2 to bring Nazi war criminals like Adolph Eichmann to justice and being obstructed by the new German authorities every inch of the way. Written and directed by Lars Kraume and starring veteran German actor Burghart Klaußner and Ronald Zehrfeld. The movie is playing at Provincetown International Film Festival #PIFF16. Last week queerguru had the sheer joy of talking to the legendary performer Miss Thirsty Burlington who is ‘more Cher than Cher’ on the eve of the sneak preview of the first ever public screening of THIRSTY, a fab new movie based on her life. 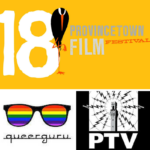 The setting was the equally fabulous Velvet Lounge in the heart of Provincetown just before the Provincetown International Film Festival #PIFF16 kicked off. We showed a clip of the interview on PTV’s Facebook page last week and it quickly went VIRAL! Here then is the full conversation filmed by Heather Reed and also by Rik Ahlberg who edited the piece too. P.S. Both screenings of THIRSTY sold out within hours breaking Festival Box Office records BUT a little dickie bird tells us that it will be back in Provincetown some time this summer, and also very soon in the Rest Of The World. Follow both PTV and Thirsty The Movie on Facebook to be sure not to miss out. queerguru talked to Dave Castleman for PTV about his first ever short movie that is debuting at Provincetown International Film Festival #PIFF16. He swapped the kings and moors of Scotland for the queens and beaches of Fire Island for his hilarious new take on one of Shakespeare’s classics now renamed MacBethenny. The movie is playing as part of the Queer Shorts: Men’s program. Tickets and further information from PIFF16 Box Office.